Of course, when there’s fire, there’s usually soot. But there is another culprit that can spread soot throughout your home or business. It’s a furnace puff back. A puff back is a misfire in the furnace that, at its worst, can send soot throughout your home, requiring professional cleaning and restoration in addition to repairs on your heating system. While rare, the consequences are severe enough to learn what a puff back is and how you might prevent it. 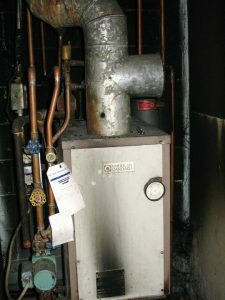 Wet Smoke Residues – Result from smoldering fires with low heat. Residues are sticky, smeary and with pungent odors. Smoke webs can be difficult to clean. Dry Smoke Residues – Result from fast burning fires at high temperatures. Residues are often dry, powdery, small, non-smeary smoke particles. 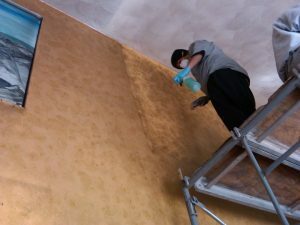 Protein Residues – Virtually invisible residues that discolor paints and varnishes. Has an extremely pungent odor. Fuel Oil Soot – Furnace puff backs distribute fuel oil and soot. Other Types of Residues – Tear gas, fingerprint powder, and fire extinguisher residues also need cleanup. Special cleaning equipment is used to chemically remove any smoke odor from your structure. We don’t cover the smell; we remove it. Any contents that have been damaged by soot and smoke, but remain salvageable are transferred to our brand-new climate controlled facility. We’ll dry clean your clothes, the furniture, restore your photos, and clean your electronics. And of course, we work with your insurance company to coordinate your claim and help you get your life back on track. Our experts work quickly to restore the property to pre-loss condition.